The Arabic alphabet is as complex as it is beautiful. It can be somewhat intimidating to newcomers, and some have even joked that the Arabic alphabet looks more like Asian characters than actual letters. Of course, nothing could be further from the truth. Like all alphabets, Arabic evolved out of the need to write down what people said, so it would not be forgotten. Written Arabic varies slightly from spoken Arabic, which I talked about in this post earlier. Many believe that the modern Arabic alphabet is derived from the Nabataean variation of the Aramaic alphabet, which is thought to have grown out of the Phoenician alphabet. – Like all Semitic languages, Arabic is written and read from right to left, horizontally. 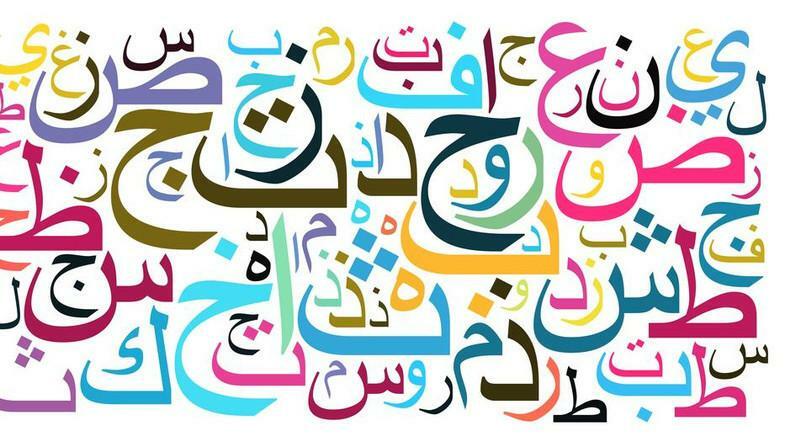 – There are 28 letters; apart from the first letter ا, all the others are consonants, except for ي and و which can be both consonants and vowels (to denote the long vowel آ and ũ respectively). – The Arabic alphabet has no capital or upper-case letters: letters of a single word are linked to each other, except for 6, which are linked only to their right, i.e., the letter that precedes them; therefore, there will be a space followed by the next letter: يُوسُف “Joseph”. – Linking to each other, some Arabic letters change shape; we must distinguish between an isolated, an initial, a medial, and a final form; the final form of ي is usually written without the two dots ى. – Many Arabic letters are lengthened or shortened when they complete a line so that they occupy the entire space of a line. – The letter L, ل, and the letter A, ا, creates a special character, لا, LA, by some considered as the 29′ letter of the alphabet. Here are the Arabic alphabets, their pronunciation and their equivalent English sounds.